Mirror, Mirror on the wall… or should I say tabletop? 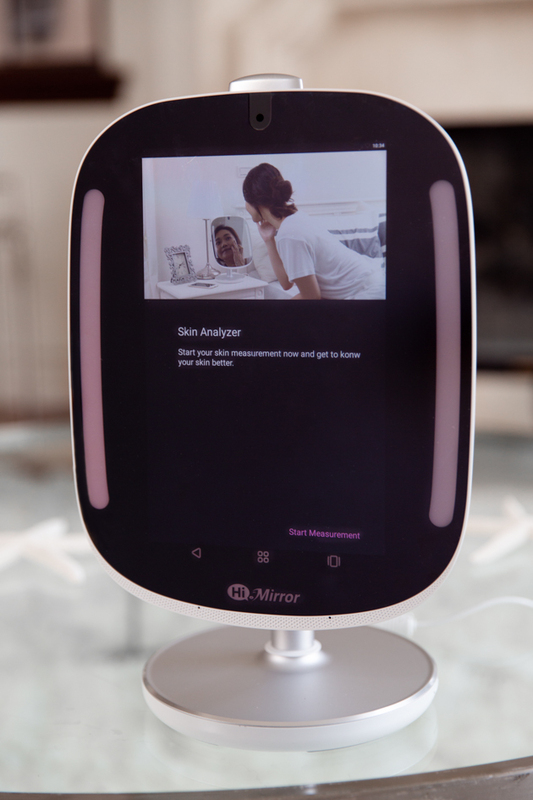 I tried out the new HiMirror Mini which uses Alexa technology to give you your own personalized skin forecast and somehow couldn’t get that phrase out of my head. Fairytale references aside, I did find this new smart-mirror technology both surreal and intriguing. 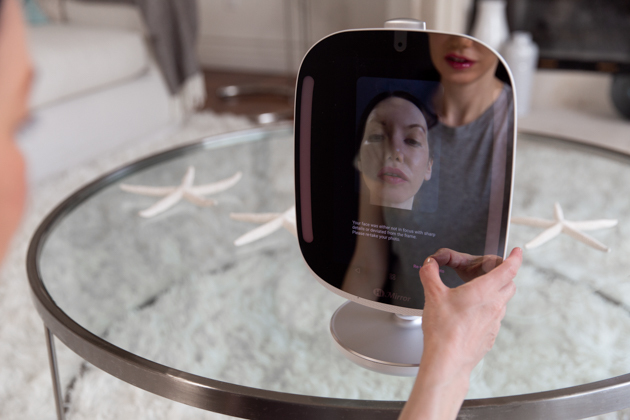 The HiMirror Mini is a table top device that uses smart technology to give smart skin care advice. 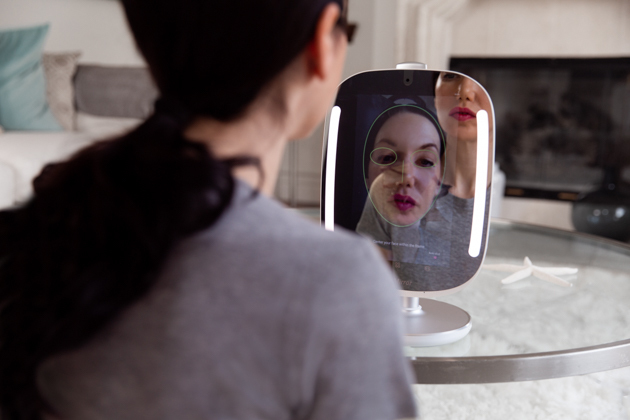 All you have to do is plug it in, sign on to your wifi and use the HiMirror’s sensors to snap a photo of your face. 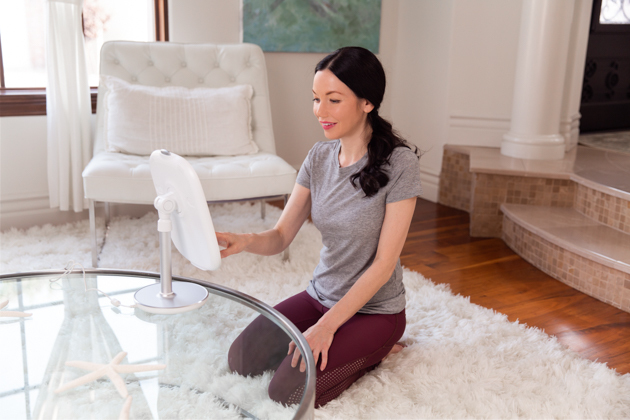 The HiMirror Mini then analyzes your skin for conditions including wrinkles, fine lines, complexion, dark circles, dark spots and pores in order to take early measures to improve your skin. 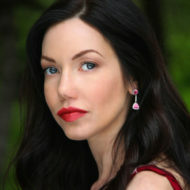 Photos are stored along with measurement data so you can monitor your skin’s changes over time. You can also scan and track all of your skincare products to see which ones are improving your skin, and which are not giving you the desired results… and you can even get an alert when your products are about to expire. The HiMirror Mini allows you to check your makeup in 5 different lighting settings, so you can create the perfect look for an important meeting in office lighting or a night out on the town. There is also a magnifying feature to zoom in to perfect your eyeliner and shape your brows. The coolest feature of this mirror is that you can use the Alexa technology to reorder your products from Amazon while you do your makeup. Just ask Alexa! You can also ask her to order a pizza or call you an Uber! You can even play your favorite music with Spotify while you get ready or browse through Facebook, Instagram and YouTube. 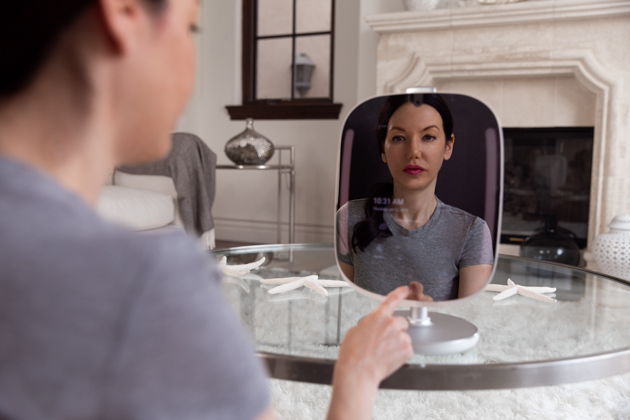 With holiday season on the horizon, the HiMirror Mini is a great gift idea for tech and beauty obsessed friends and family members. Thank you to HiMirror for collaborating on this post. All thoughts and opinions are my own.